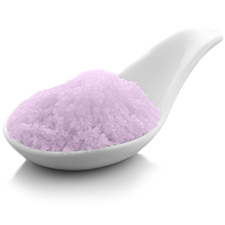 Luxurious Milk Bath soak scented with Lavender Essential oil. Natural cream color. Benefits: A therapeutic bath salt for relaxation and promoting a good night's sleep while nourishing your skin, making it softer and smoother.